Sometimes all you can do is take one step. Sometimes, the best you can do is rub two or three words together, face what’s right in front of you, deal with the troubles of today. Sometimes, you can’t do that much. Recently, I told a person whom I love very much: it’s okay if having faith is impossible right now. It’s okay if you can’t believe the truth about yourself, if you can’t say right now that you’re going to be okay. –Because I know you’re going to be okay. I can have faith for you. It took me back a long time, maybe longer than the calendar would measure it, to some months after our son Isaac died. It’s hard to quantify that kind of grief for people, to express it if you haven’t been there. Sometimes it’s hard to believe how all-consuming it was, now that I have survived seventeen-plus years and am no longer enveloped in it. But then a memory evokes it all again. Someone said, “I wasn’t sure I should bring it up.” That made me laugh, the bitter, half-sneer laughter, the only laugh I had for ages uncounted after he died. That laugh is angrier than any straightforward expression of rancor. From then on, I wanted to carry Isaac’s picture with me and hold it up or for whomever was there to see, to set it on the table anytime I sat down, right between us, face up. You’re not “bringing it up” for me. it’s up. It’s always up. One of those endless, indistinguishable days, I went to my friend James’s office. James is an Episcopal priest. He was one of my best friends in town. I was still trying to be a pastor, which was ludicrous, but it was also how I could support my family in that moment and keep my wife from having to work, so I believe there was some faithfulness in my absurdity. But that day I was stumbling around blind, and my lungs had filled up with sorrow. I felt like I was suffocating. Or that I’d prefer if I did. I climbed up his stairs, knocked on the door, and as I knocked, asked myself, “What the %(*& are you doing here?” And I had no answer. James opened the door and immediately his expression became the face I saw everywhere: In the Presence of Sorrow. I was grateful that people acknowledged and tried to step into the moment with me, yet it always reminded me that when I walked back out the door, the sorrow came with me and that expression would go away again. I wanted to spend my time in cemeteries. They were the only places I stopped feeling dissonance. The world is happy, the world is busy, the world is going on. The world wants to smile and laugh and talk about other things. And I’m not there. But no one questions grieving in a cemetery. No one expects cheerfulness. I don’t have to deal with their discomfort over my pain. I was sitting with death all the time, so being among the graves let my outside match my inside. That may not be exactly what he said, because that whole time is hazy and dim in my memory. My memory for conversations is kind of ridiculous, I can quote you verbatim conversations I had with my second-grade teacher, but those two to three years are a dark tunnel. He was right, I didn’t believe him. But he wasn’t asking me to. He wasn’t asking me to do anything, nor was he trying to give me the right words, as so many were. In a time when there was almost nothing people could do for me that mattered for anything, he believed for me. He offered me something I couldn’t do for myself, something I couldn’t even start. When I tried to go to church, I couldn’t sing; I’d grow angrier and angrier listening to the words. My prayers were not repeatable in polite company. I felt like I had no faith, certainly none I could act on. James didn’t try to convince me. He just believed. He had faith for me until I could have faith for myself again. It was probably four years before I had that phone call with James, maybe even five, the call when I went back into ministry again and could tell him I was excited about it. We didn’t talk about how he’d had faith for me. He certainly didn’t say, “I told you so.” He was just excited and rejoiced with me. There are lots of ways to interpret, “Carry one another’s burdens.” It’s a big deal. Sometimes I wonder if, in our efforts to have strong, healthy boundaries, we decide that this is asking too much. But it’s not really asking. It’s a command. “And in this way, you fulfill the law of Christ.” Like I say, a big deal. 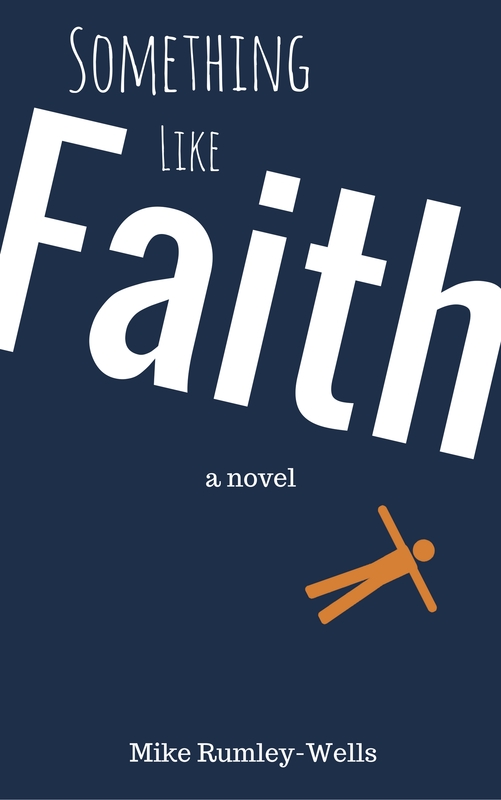 Theologically, does it work to have faith for someone else? Not permanently, of course. But I think there are times when even trying to believe what seems impossible right now is too heavy to carry. I know there are days–I’ve had days–where there is nothing that can be said that brings hope. Saying “I believe in you” can evoke the bitter laugh when the person knows there’s nothing inside. “I believe with you” requires that they get up, right now, and carry their half. But broken legs don’t walk. They just don’t. I haven’t said these words often. I think that’s why I had the flashback to when James spoke them to me. They mean “I believe in you until you can believe in yourself again,” but I think it’s more than that. I believe in community as more than a camaraderie where we give one another pep talks, even more than loyalty and sticking with one another. We use language of being joined by one spirit, of being, together, a single body. He didn’t say all those words, of course. Nor did I go on at length the other day. I just made the simple statement. The rest is up to God. That’s whom my faith is in. I know he’s faithful, because I’m still here, and I have faith again. So much of how God provides comes through others. Jesus is the head, but he made us the whole body. He joined us together. Thanks for having faith for me, James. Thanks for letting me have faith for you, Friend.